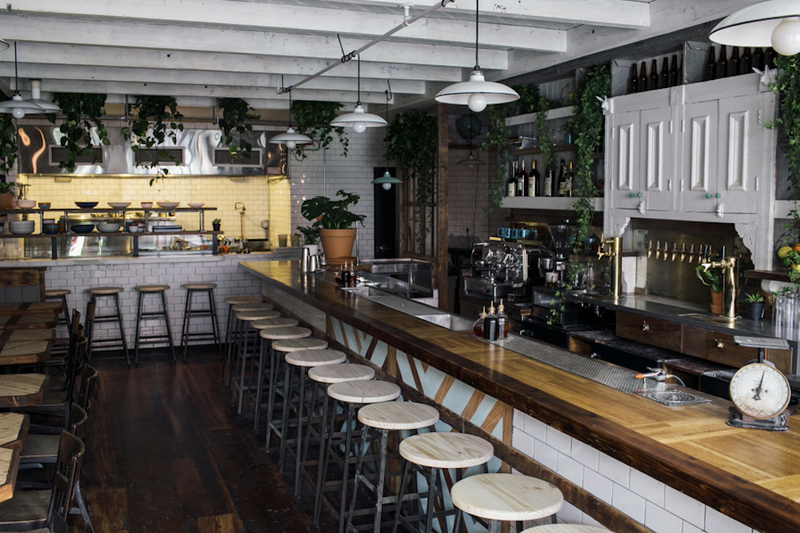 Meatpacking’s hidden gem The Wild Son from Robert Ceraso and Jason Mendenhall (also behind east village staple The Wayland) are thrilled to announce a new executive chef helming the kitchen - Chad Shaner! Chad Shaner, 37, is incredibly talented. He’s an alum of the esteemed Gotham Bar and Grill, Union Square Café and his own successful venture, Freek’s Mill in Brooklyn, where he earned a 2-star review in the New York Times (critic’s pick), as well as a Michelin Guide Bib Gourmand. He discovered his skill for and love of cooking as a U.S. Navy culinary specialist stationed in Italy. During his time overseas, Shaner served as captain’s cook for over three years while circling the Adriatic and Mediterranean as he learned about Italian flavors and seasonal ingredients. Chad is spearheading the menu at The Wild Son shining bright on his seasonal, market-driven dishes with an emphasis on fresh produce and simplicity of flavors. The Wild Son dinner menu is broken down by small, medium and large dishes, and new seasonal cocktails. So what can you expect from Chef Chad? 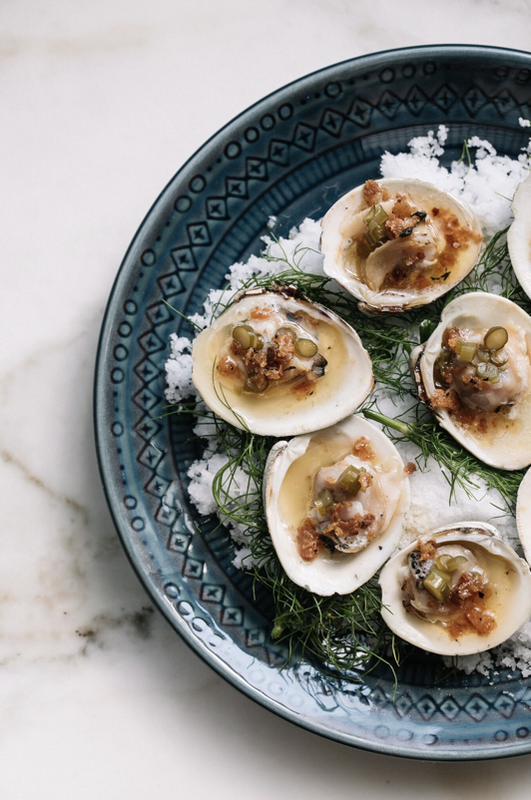 Think grilled littleneck clams with pickled scapes, brown butter, breadcrumbs – Chad chucks them on the half shell and grills them. It’s more work but makes them ultra-smoky Another Chad specialty? Char-Tare with beet cured arctic char, pickled ramps, egg yolk, toast – a play on a traditional steak tartare recipe but done with cured fish. This dish stemmed from a beet cured arctic char he made for Good Night Sonny’s Anniversary to put on top of bagels and evolved into this iteration for dinner. Chad Shaner also serves as the first culinary director, working alongside Rob and Jason across all of their restaurant and bar concepts. This announcement comes on the heels of Rob and Jason creating a hospitality group name for the first time, Endless Hospitality Group or EHG, which includes all of Rob and Jason’s spots under one umbrella (The Wayland, Good Night Sonny, The Wild Son and most recently,The Lost Lady). The new group name means they show no signs of stopping anytime soon and will allow for growth and expansion, new concepts and much more.